If you are looking for a second hand breitling, please contact us on 07542 478092 as we have an ever changing stock of high quality, pre-owned watches. We specialise in Breitling watches, and have been retailing second hand timepieces for over 9 years now, developing quite an expertise in this area. We aim to offer high standards of one to one personalised service, and are happy to meet you in person to show you any Breitling watch you are interested in as well as arrange independent verification and certification. As well as more recent models, we also specialise in rarer vintage models, often dating back to 1940. We usually have stock of the following models of Breitling Watches, or can obtain a particular model that you are after via our extensive network of industry contacts. 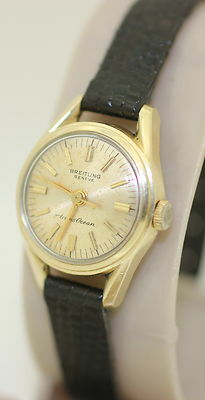 Please browse our online store for our range of secondhand Breitling watches.